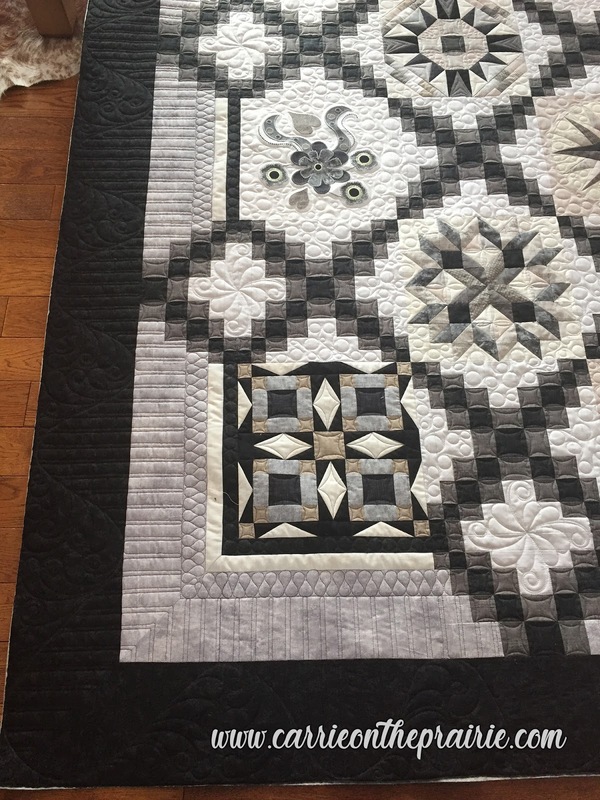 Here's another BAMBI (Block-A-Month-Bright-Ideas) quilt, which came to me from my longtime client, Linda. 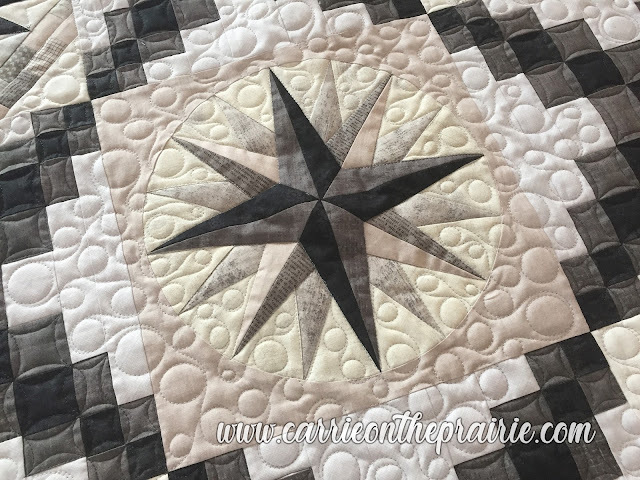 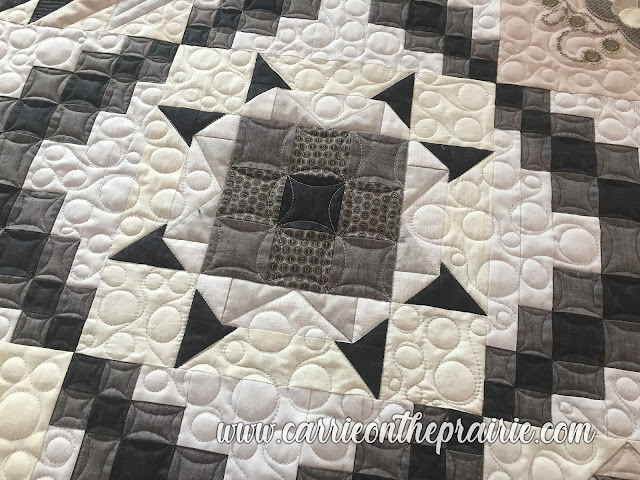 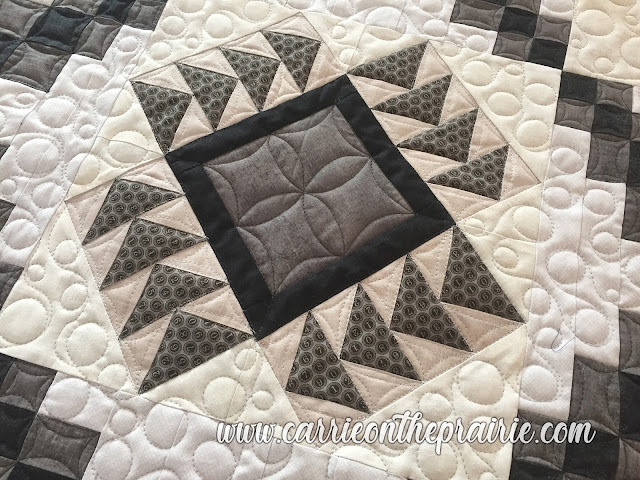 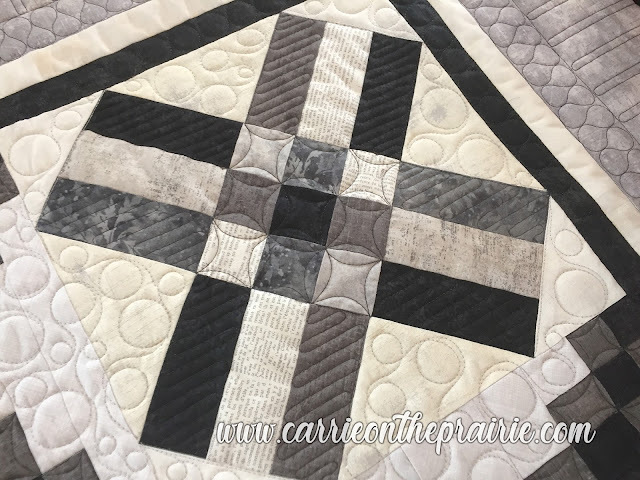 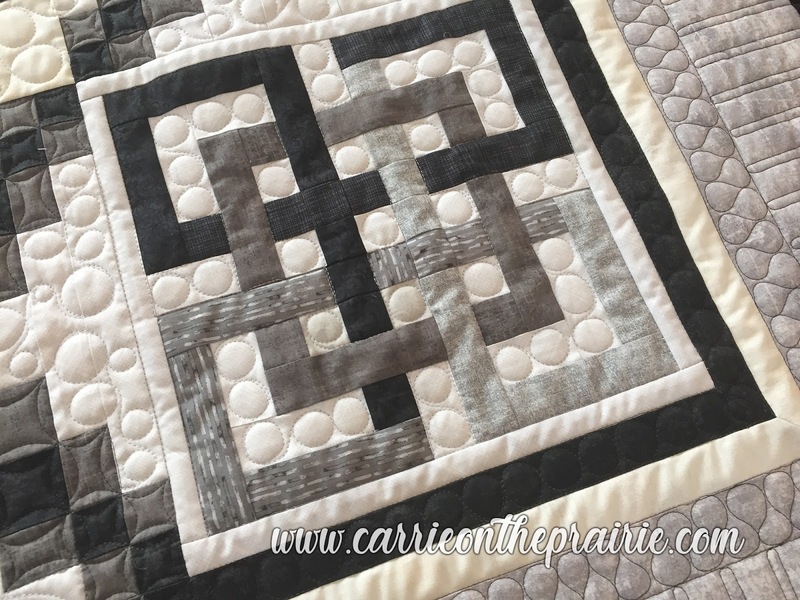 I've enjoyed quilting several of these BAMBIs, a pattern from Rumpled Quilt Skins in Okotoks, AB. 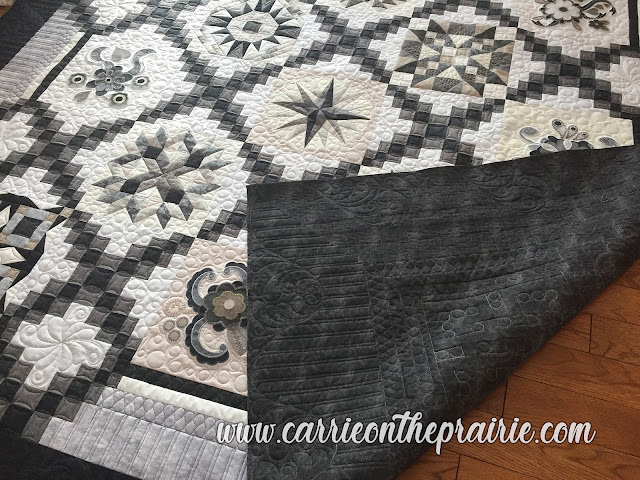 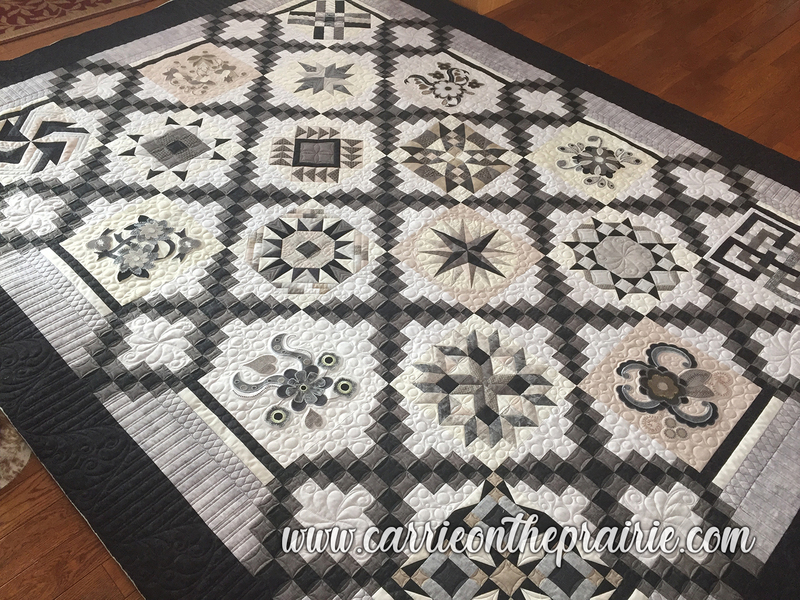 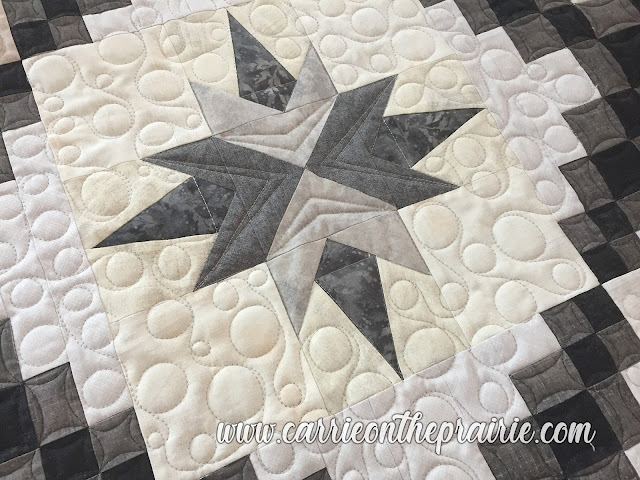 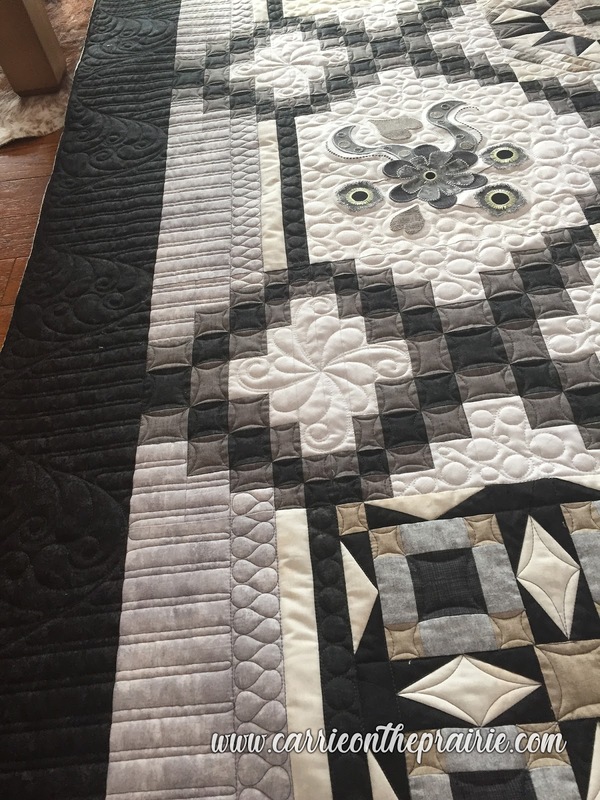 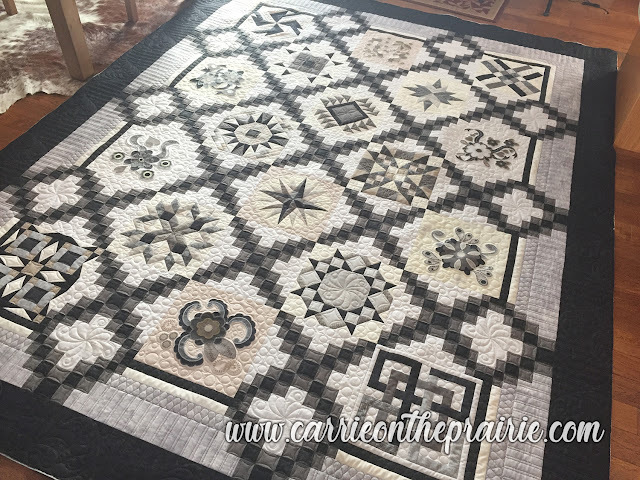 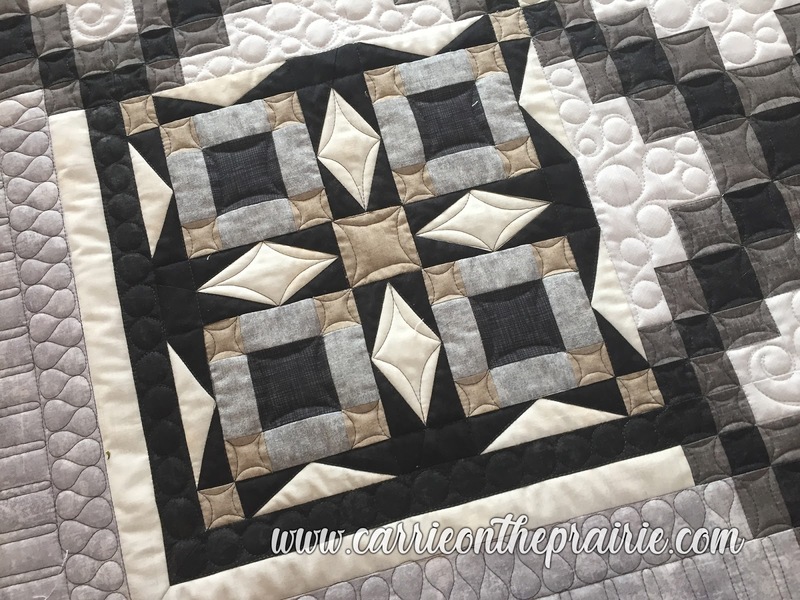 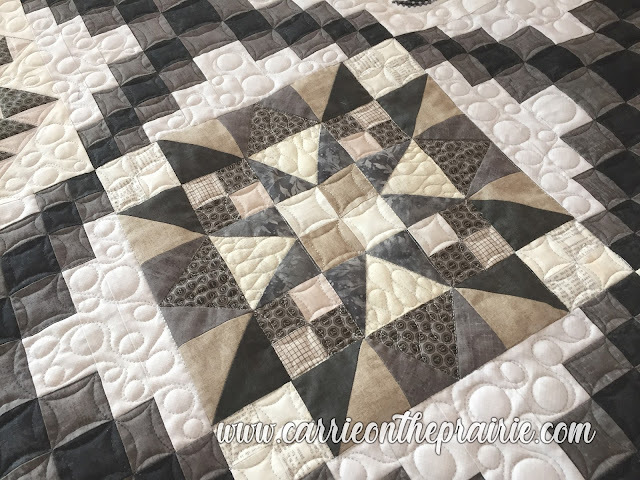 This one was impeccably pieced, and Linda told me to do whatever I wanted for quilting. 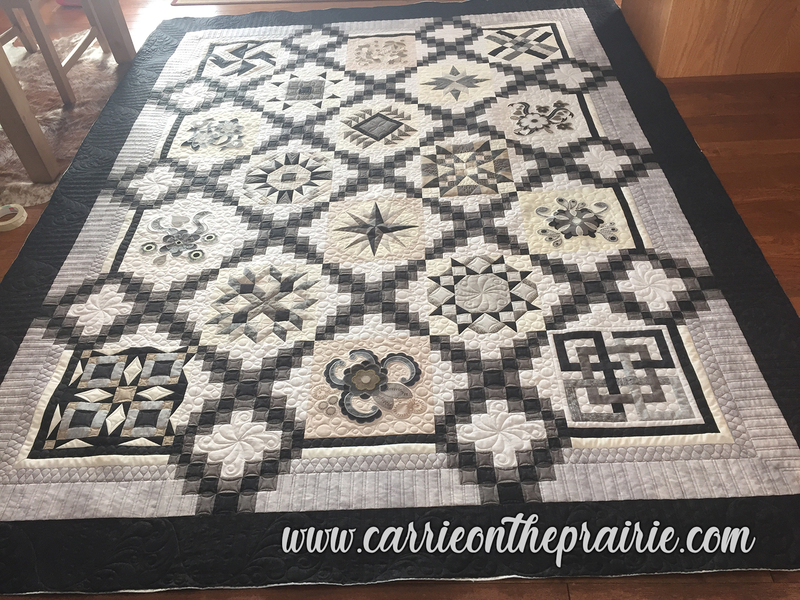 I knew this was going to be for Linda's house (as opposed to a gift for someone else), and since Linda is such a dear, I quilted a little extra love in every stitch!